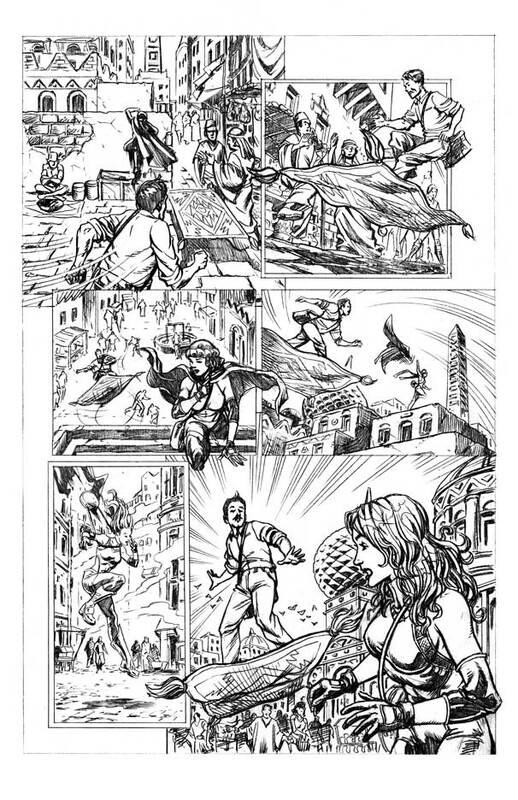 I did pencils for an issue of Terminus Team-Up, published by Terminus Media. 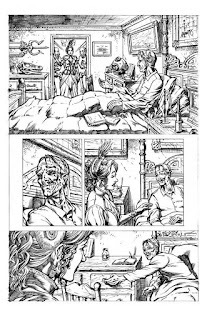 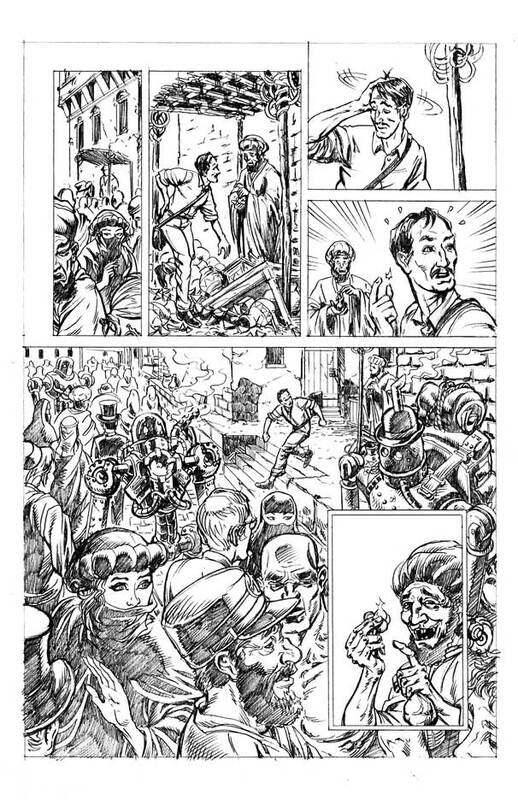 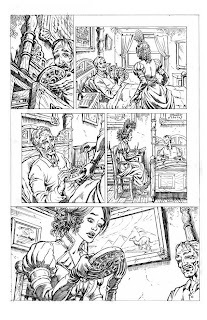 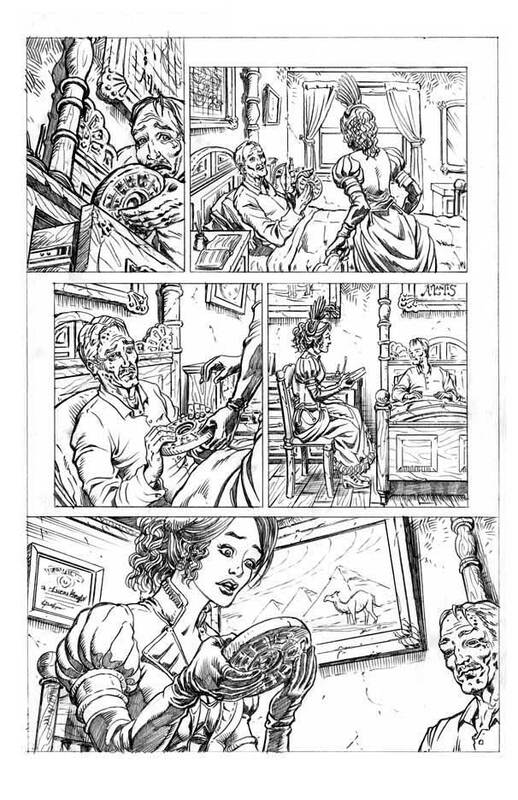 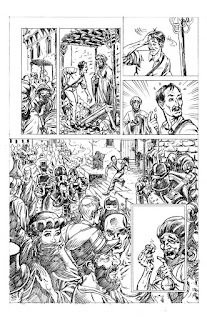 Here are a few sample pages from the issue, a time traveling tale that fits in dinosaurs, Neanderthals, Pompeii and steampunk wrapped up in a story between a woman and man. 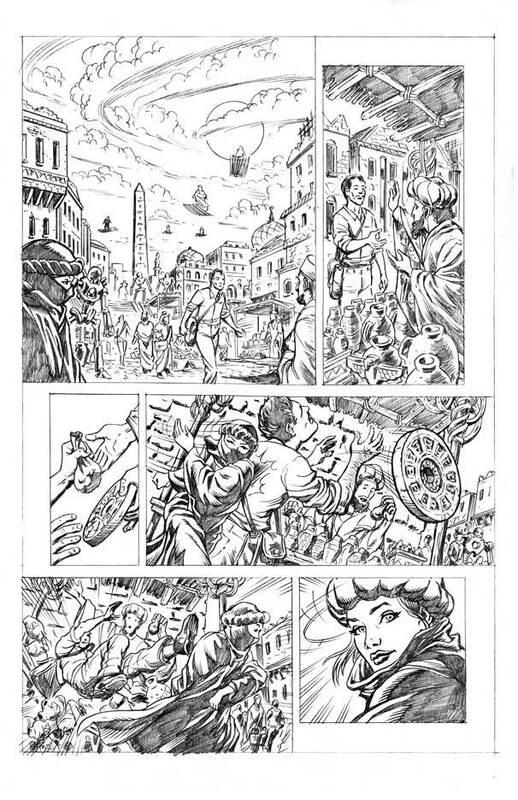 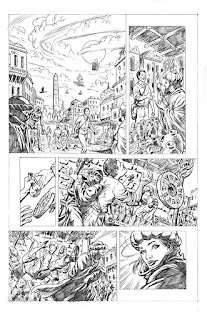 These will be inked by Rich Perotta, an inker who has done work for a lot of comic publishers and will be colored. 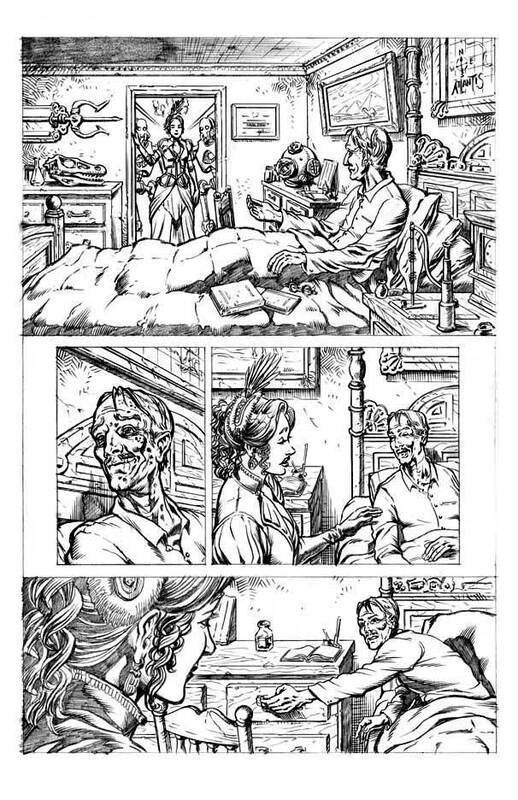 I'll post up more pages once the book is released. 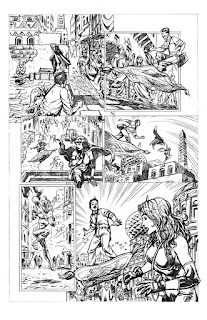 These are penciled on 11"x17" bristol board.